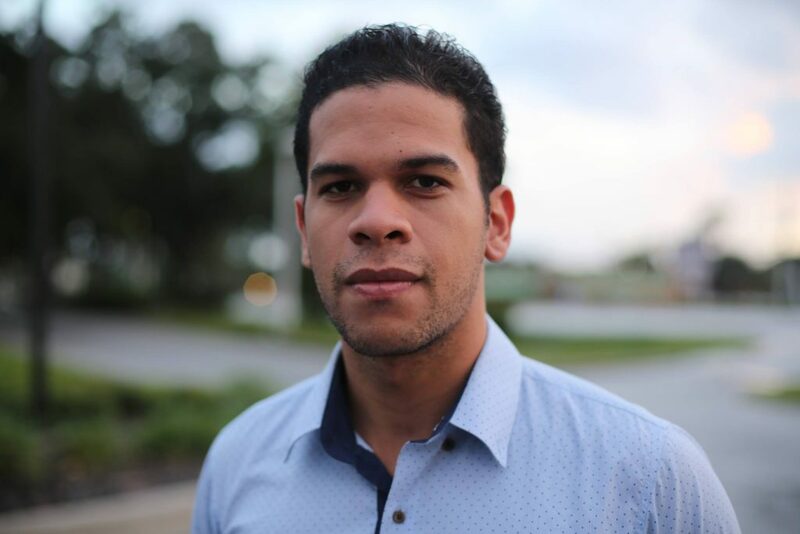 “I like to read about successful entrepreneurs who build empires,” says Emanuel Garcia a 26-year-old systems analyst and web developer from Orlando, Florida. Garcia is supporting Donald Trump this election, and although he admires Trump as an entrepreneur and a ‘risk taker’, he says he never expected him to be a moral role model. Garcia spoke with Feet in 2 Worlds about why Trump resonates with him as a young Latino voter. Emanuel’s story is part of a series of profiles of young immigrants from across the U.S discussing their perspectives on the 2016 election. As a Dominican-American, what issues are you most concerned with in the upcoming election? How do you see Trump addressing those concerns? I would like to say that I am an American first. I don’t see myself as a Dominican-American in terms of ideals. Of course I respect my heritage and culture, but first I embrace being an American. 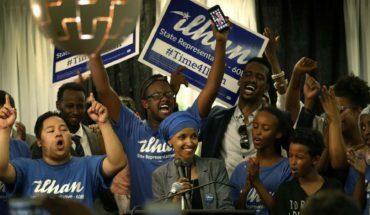 I feel Trump has given a voice to a large number of people who were disenfranchised Americans who would be heavily condemned if they were simply voicing their concerns. They would be called all sorts of nasty names like racist or terms that the mainstream media likes to use for people just expressing their opinion, like on immigration in the country. It doesn’t mean necessarily that we do not like people to come to the country or we want to deny them the opportunity. We believe in law and order. It’s not only immigration but also foreign policy and competence of our leaders. What kind of volunteer work have you done in support of the Trump campaign? 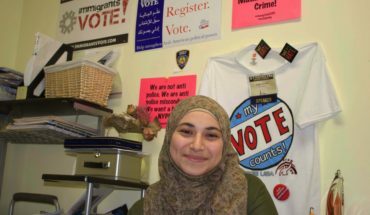 Do you have previous experience volunteering for political campaigns? I was never as involved in politics as I am now. Before, I used to vote in the elections but I wasn’t as educated about the issues. I decided to get involved because I identified with the Trump proposals, plus my disappointment with the current administration. I have attended the rallies hoping to learn more about the supporters and see what it means to be at the Trump events, as opposed to just listening to the media and whatever they choose to show the audience. This way I can share some of my experiences with other people who don’t have the same chance of attending. I can convince other people to join the movement because so far my experiences have been very nice. In addition to my time, I also donate money to the campaign. Mexican-Americans, Latino communities and immigrant communities in general have publicly denounced Trump for his bigoted views regarding immigrants. As someone whose family immigrated to the U.S, how do you reconcile his anti-immigrant position? This is the same view that the mainstream media and the opposition tries to plant into most people’s minds, which I don’t necessarily agree with. We are not against immigration, but illegal immigration. Actually, we are in favor of immigration because anybody who has a working knowledge of economics knows that immigration plays a big role in the economy. I see a prosperous and sustainable economy as long as there’s a proper immigration system. One that is strict, guarantees opportunity to those who faithfully trust the system, wait in line to come to the country, and want to bring their knowledge and their contribution to the economy. It’s not against immigration, because I think if the system works properly instead of having this sort of disaster that has been going on for the past few decades people wouldn’t be as encouraged to cross the border or overstay their visa. How have your peers and family responded to your support for Trump? What has the dialogue been like? My immediate family is not so involved in politics as I am, and unfortunately like in so many other Latino families, they mostly watch media and TV programming started by Latinos. This is part of the same media that is heavily influenced by the left-wing political stream and the Democratic Party who have made the Trump campaign look non-legitimate. There’s this narrative of it being racist or discriminatory. On the positive side it gives me the opportunity to share the knowledge that I have acquired following the campaign and my interest in politics. I usually have a positive reaction from other people who open their mind and who are not heavily biased. Overall, my family supports me and my brother will also be voting for Trump and I’m trying to convince my father because he is a Democrat. What are the most specific and appealing aspects of the Trump campaign for you? I would like to solve the issues of immigration and foreign policy in a way that is more sustainable for the country and the economy. We should have a system that provides the right mechanism for people who want to come to this country to work, become a citizen and integrate, and avoid people coming illegally and creating this big inequality and the social issues we face today. In terms of military and economy we are not in a good position at the moment. Trump understands that we need to have a strong military and economy in order to influence others in terms of trade or geopolitical conflict. That’s something that is definitely appealing to me. It’s important for our economy to be strong so we have that power to lead in the world. Many of Trump’s supporters are characterized as white, working class conservatives with openly racist and xenophobic views. What has your experience been interacting with other Trump supporters (at rallies, events, etc.)? From my experiences at the Trump rallies I will say that I have been able to see the faces of hard-working people who believe that the country they love should have a thriving economy, secure borders and be on the path to prosperity, and that’s the same feeling I share. When I go there I don’t see it as this is a group of white people who do a racist thing, it’s just people who feel that this country has not been brought in the right direction and we just need to do things differently if we expect change. Do you support Trump’s policy to deport all undocumented immigrants? Do you know anyone who is undocumented? Historically, in the late 20th Century, many people have illegally immigrated to the United States via Puerto Rico. The way they do it is by taking these improvised boats. It is very dangerous, many people have lost their lives because their ships have collapsed or they have gotten lost. The reasoning behind it is, as in many underdeveloped countries, there is a big inequality of social classes. 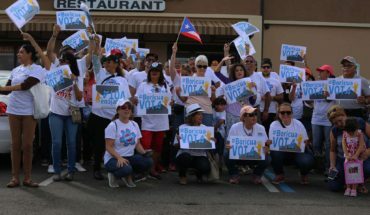 Many of these people that I have personally met that came to Puerto Rico had a really hard time, they were exploited sexually or they engaged in criminal activity and many ended up getting deported and had it even worse after they came back. There were people smart enough to find a way to become real citizens, many times these people have a progressive mindset and they want to improve their economic status. So they are always in the search for this mechanism to legalize their status to become a citizen. I think that’s great because there are ways, even if they come illegally, to legalize their status and that’s great because that’s still part of the system. Ideally we would have a more inviting immigration system in terms of working visas and any other kind of program or just some humanitarian program. We do have the ability to set up some sort of humanitarian mechanism to allow people to come, so long as it’s sustainable for us and we are taking care of other priorities and not violating other people’s rights. How do you feel about the recent backlash against Trump from the Republican Party? What I have seen so far is that there is a pattern with the people who are removing their endorsement, most of them are aligned with the “Never Trump” movement to invalidate Trump’s nomination. They have even gone as far as supporting the candidate on the other side which is even crazier. You can disagree with the choice of your own party, but how can you change your political views like that? For me, the Trump candidacy was a revolution against the political establishment. I never expected Trump to be a moral role model. I like to read about successful entrepreneurs who build empires and many of these people who have these sort of go-getter attitudes, they have had dirty pasts, done things that for many of us would not sound like the norm for someone who would want to be the role model for our children. But in the end that’s part of life, they just have these kind of personalities where they are themselves. They also have this risk-taking attitudes that allows them to build empires.